A tooth’s nerve and pulp can get infected for numerous reasons. If the tooth has deep decay, overly large fillings, fractures, or other dental trauma, the nerve may get inflamed. 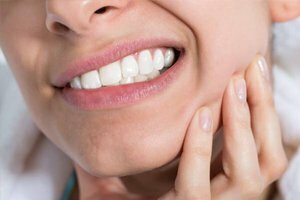 If you’re experiencing irritation and pain in your teeth, you may need root canal therapy from Dr. Capehart and our Lewisville team. 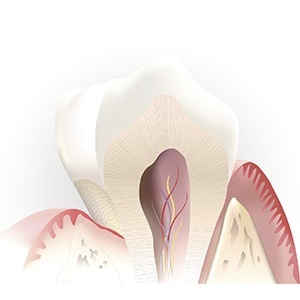 Root canal therapy occurs when the nerve and pulp of the diseased tooth are removed. During your root canal, Dr. Capehart will use special files to ensure the infection is completely gone and to also smooth down the interior of the tooth. He’ll finish your root canal by sealing the tooth and placing a crown over it. 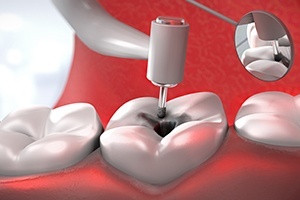 Your new crown will protect the tooth from brittleness and additional infections. Often, crowns used for root canal therapy are made from porcelain, which mimics the look of natural teeth and can be cared for with regular brushing and flossing. Call our office if you have any questions on root canal therapy or root canal treatment. If your damaged root canals are untreated, they can lead to an infection that can cause serious issues with your dental health. Sometimes, an infection will lead to an abscessed tooth. An abscess usually refers to a pus-filled pocket that forms at your tooth’s roots that is extremely painful. 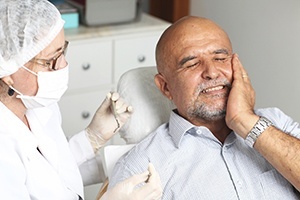 In addition, root canal infections can cause swelling in your face, affect your lymph nodes, initiate bone loss, and allow abscess drainage into your mouth. If you think you may need help with root canal therapy, don’t hesitate to contact Capehart Dental for your root canal procedure. Typically, root canal therapy can take 90 minutes to complete. The main deciding factor of the duration of your treatment is the location of the affected tooth. It can take longer to complete root canals in your molars (back teeth) compared to your anterior teeth (front and visible teeth). The time can also vary depending on how damaged or infected your tooth is. Many people have a misconception that root canals are painful. In reality, this procedure is used to save your teeth from future pain and extraction. Dr. Capehart will make sure your mouth is completely numb and comfortable before starting. 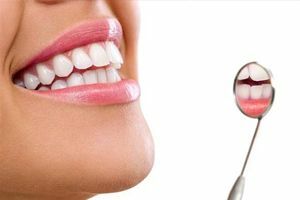 He will clean your tooth roots to remove any damaged or infected tissue in the safest and most effective way possible. After, he will use a material called gutta percha to seal your inner tooth. This prevents pain, infection, and damage that can occur in the future. Root canals relieve pain and discomfort caused by the decayed or infected inside portion of their tooth rather than cause them more irritation. It is completely normal that you feel some after-effects of your treatment for a few days following your root canal. Try to stick to eating softer foods as well as maintaining a good oral health routine to speed up your recovery and prevent further discomfort. Additionally, be sure to give yourself some rest and take over-the-counter pain medications to make yourself more comfortable. If you’re still experiencing pain for more than a few days after your root canal, contact Dr. Capehart for necessary treatment.